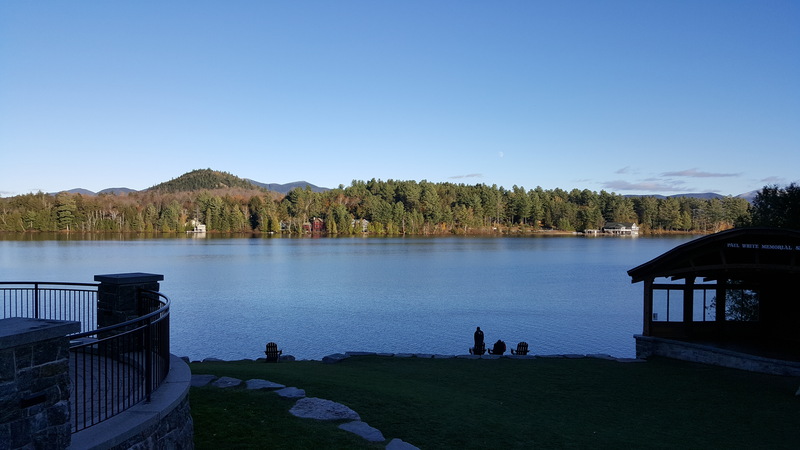 A view from the public park on Main Street in Lake Placid, New York, looking across Mirror Lake. 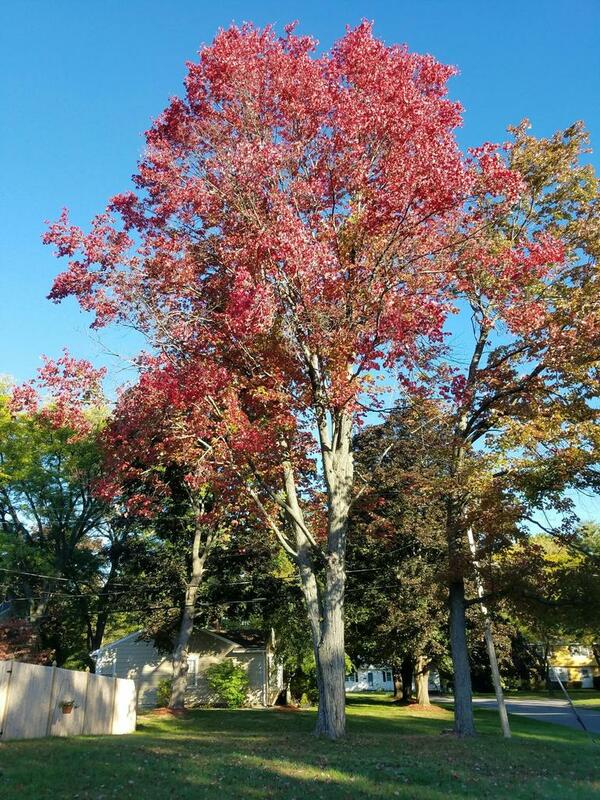 A tree in my front yard in all its autumn finery. The First Friday Blog Hop is hosted by Eden Mabee. If you’d like to contribute, or see more offerings, take a look here. This post for First Friday Photo is quite late, but I wanted to post even so. Eden Mabee’s brainchild blog hop of photographs is here, so please feel free to join in, or at least visit everyone’s link to see their photograph. I had a rough week, so I don’t have an outside photo to share, but I am very proud of my entry this week. 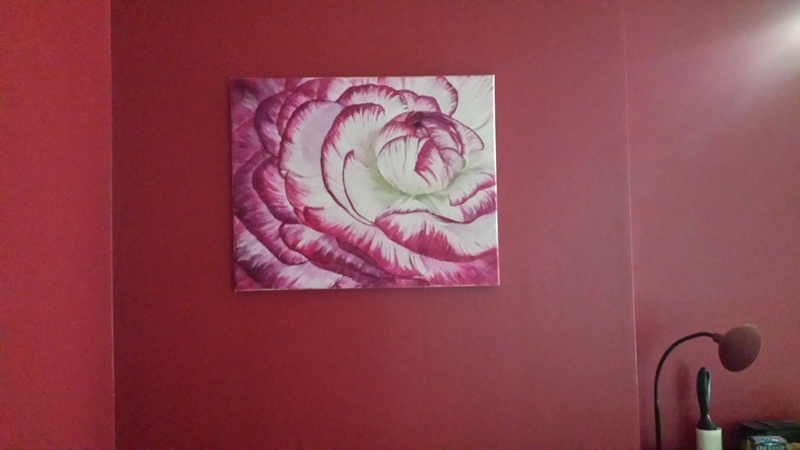 Jan Dobbs, a dear friend of mine who lives in Bristol, UK, painted this gorgeous Rananculus, as my mother would have named it. I went back and forth about having it sent across the pond, but well, it was so nice and in my favorite colors, and . . . Finally, I decided that I deserved to have a real painting, having left graduate school and its shabby chic behind. It is displayed in a corner of the dining room where I see it often. Now you can enjoy it as well. Her website is here, so you can enjoy more of her work.